1) The created 3D map has a wrong position and can not be rotated with the plugin. 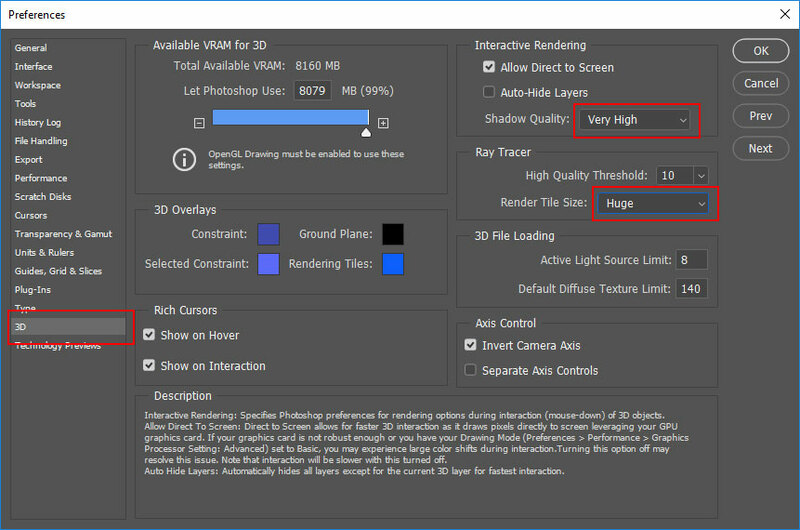 Please make sure that you have an RGB heightmap document. It will not work with CMYK documents. If you have a CMYK document change to the RGB modus. Go to Image > Mode and choose RGB (don’t flatten). 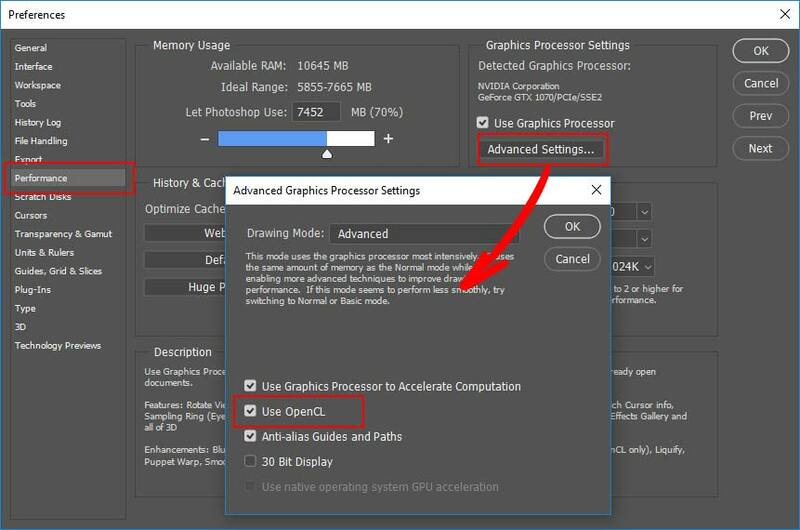 Please make sure that you’ve enabled OpenGL / OpenCL on your machine. Check it > Edit > Preferences. 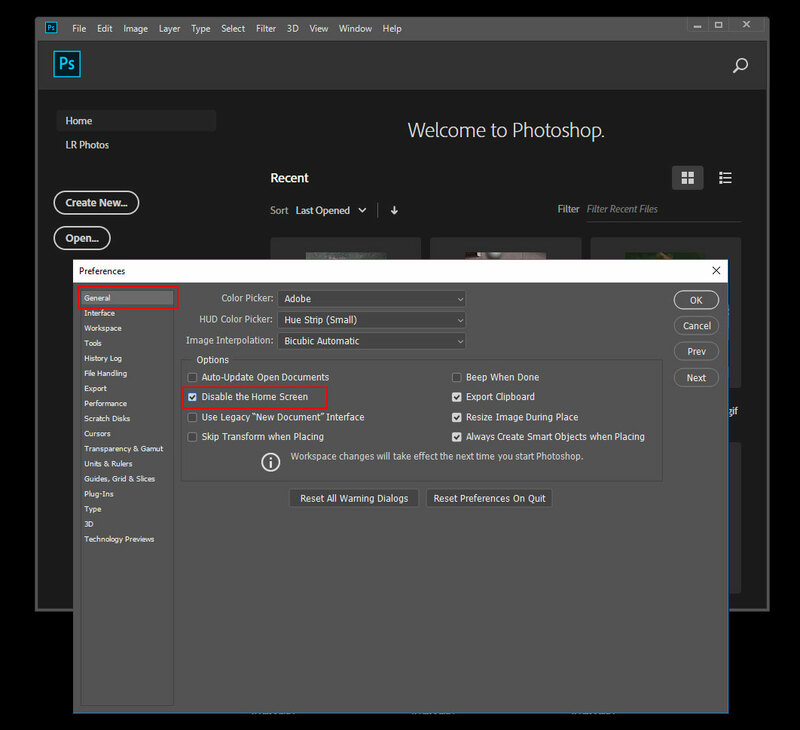 Restart Photoshop after making changes! 4) Heightmapper: When I transfer the Google Maps URL to the heightmapper, no heightmap appears and the browser screen remains blank. 1. Note that you are copying and transferring the “map view” URL to the heightmapper. It does not work by using the satellite map (texture) URL. 2. Make sure that the zoom factor does not exceed 14z. For most areas, the highest zoom factor is between 12z and 14z. 5) Heightmapper: I can not find the option “3D off” at Google Maps terrain mode anymore. Google has changed this feature. 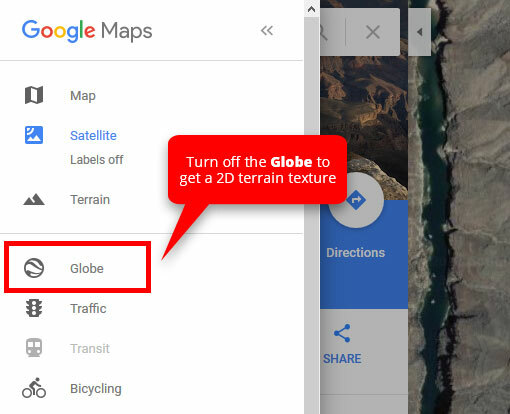 Turn off globe, above the traffic setting to get a 2D satellite map (texture). 7) The shadows of the 3D map are pixelated. 8 ) My 3D map has numerous peaks or needles. What can I do? These errors are caused by the unhidden texture layer. Simply hide your texture layer or name your texture layer “texture”. Then set the Map Height in the panel. 9) How to update my Atlas plugin? Watch this short tutorial video. 3. Unzip and install the extension as described. Make sure that you do not change anything inside the install folder. 11) I can not open the plugin. 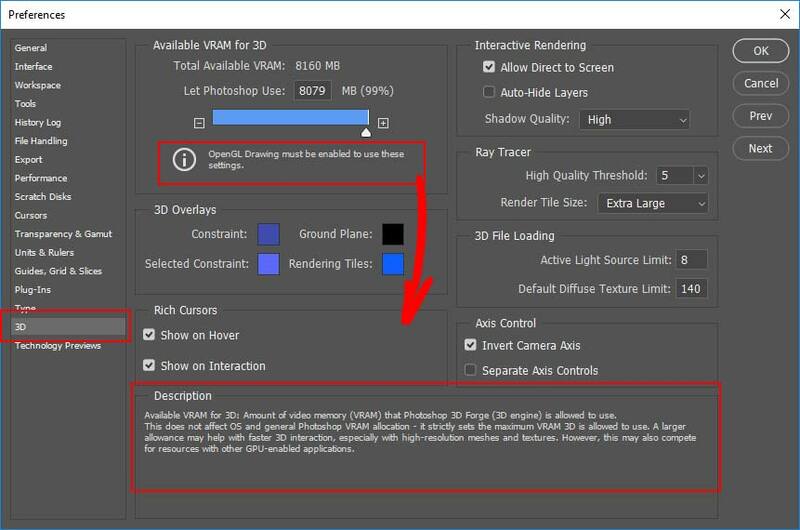 The plugin will appear in Photoshop Window > Extensions but it will not open. 12) I can not open the plugin. The Window> Extension menu is greyed out. 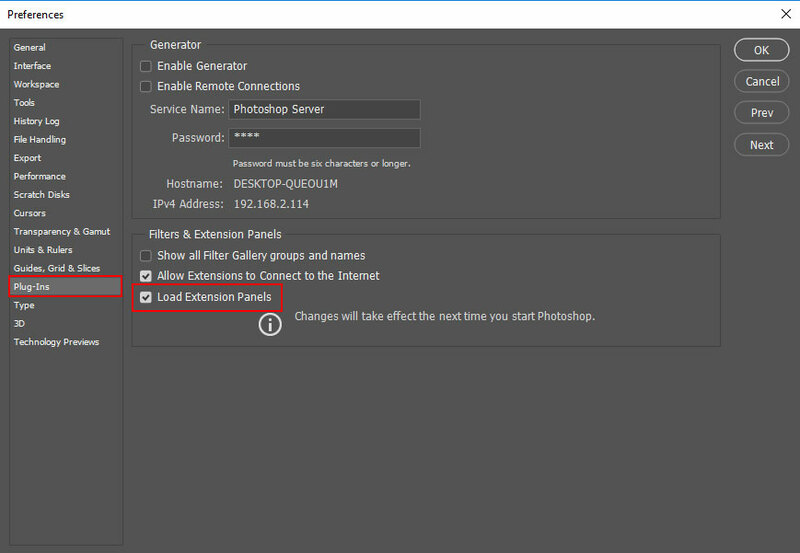 Open the Photoshop preferences and make sure that “Load Extension Panels” is enabled.